Because we doubled the number of classes this year, we can offer some of the things that are more sophisticated, for the gardener who has everything. 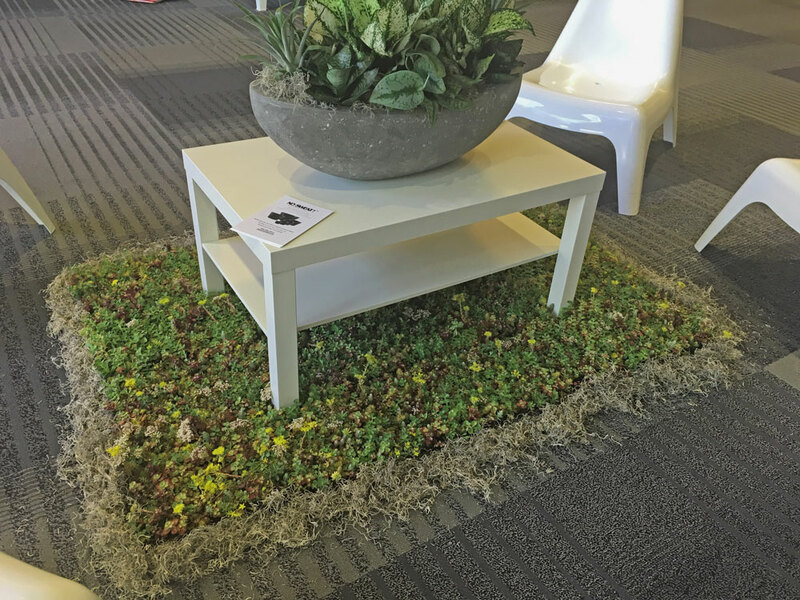 You will plant this living mat with a selection of creeping succulents. Some will have roots to give it immediate stability. Others will be cuttings that will root in and thicken the mat over the next three weeks. At the end of the season just put it in your garden to overwinter. Most of the succulents should return, and it will only need a little freshening to have it fill out again.